The history of art has been recounted as the international visual language known for inciting creative expression and emancipation but this view can often ostracise its role as an ancillary in the struggle for social change, cultural resistance and renaissance. One needs to look no further than 20th century modernism or the protest art of the 60s, to find the correlation between the unorthodox and avant-garde art, literary and philosophical movements that triggered an unprecedented amount of change in Western society. None can reckon with the cultural power and pervasiveness of visual art in under-girding the fight for social justice. Art brings together the universal idea of human freedom to ensure that common good and equality is experienced by all people in society. It does n’t scream “cheap rhetoric”, instead, it signals humanity. In our darkest times, it engenders a call to arms against social injustice. It is a voice for the invisible and the voiceless and it may also surprise you how quickly a simple portrait can become the face of a nation. 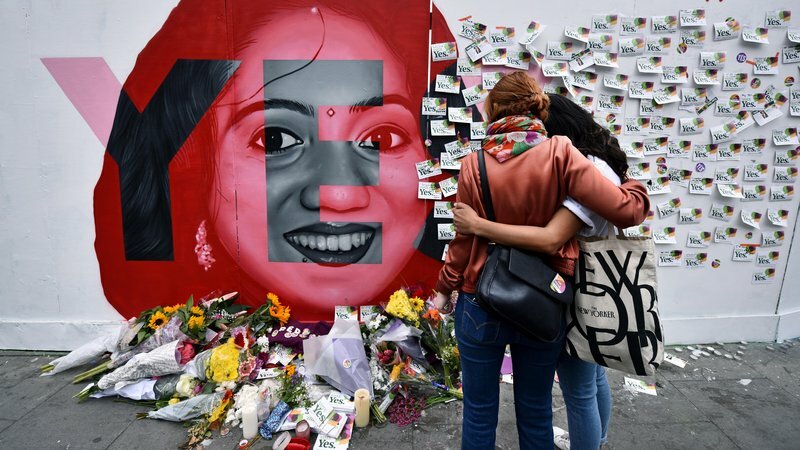 In Ireland, Savita Halappanavar (Above) who was immortalised in a mural by Irish street artist, Aches in Portobello, inspired a nation by becoming the image of yes for those who voted to repeal the abortion act in the Irish referendum on 26th May 2018, that saw the Eighth Amendment of the Constitution Act 1983 upended overnight by a majority of 66.4% to repeal the abortion ban against a 33.6% minority. Savita Halappanavar, tragically died in 2012, after contracting sepsis during a protracted miscarriage when she was denied an abortion. Her death triggered national debate between those who were pro-life and pro-choice over the issue of abortion and women’s rights. So, it’s of no surprise after all of how influential her face and circumstance was in deciding the fate of a nation because art changes people and those people tend to go on to changing the world, one nation at a time. 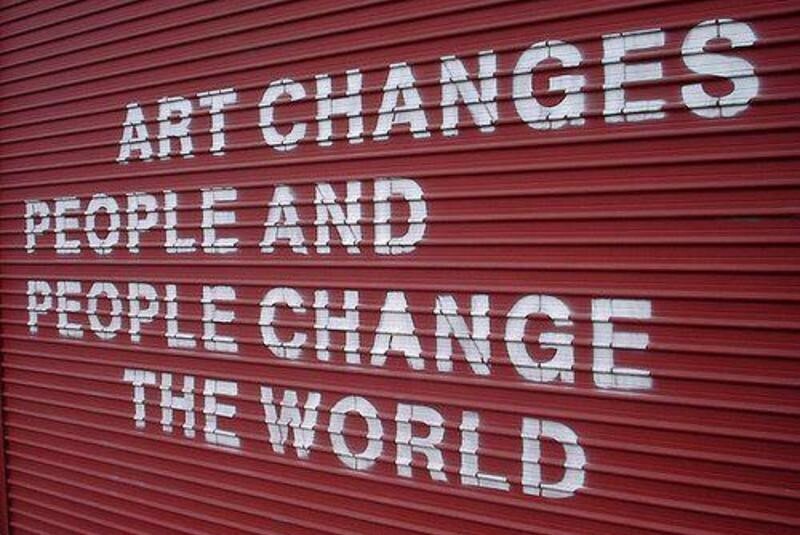 Art also encourages change by allowing us to fine tune our lives and brings us into harmony with the wider world, an idea championed by The Art of Change movement. In 2017, The Art of Change was launched by a dynamic team of artists who dedicated their creative flair and initiatives to resurrect and add vigour to the abandoned medium of art song, a classical composition of voice accompanied by a piano, with the sole purpose of using it to comment on the current and historical discourses surrounding social, cultural and political events. 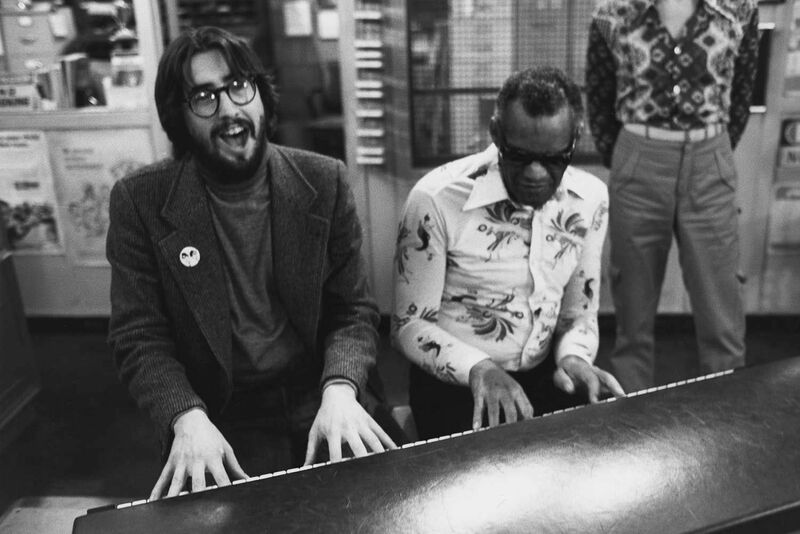 How exactly do songs change people? Well, like poetry, music has the power to elevate our moods and emotions. It is this power that connects the performer with the audience. The Art of Change goes further in breaking the barriers in human relations through using cross-medium performances to communicate social messages. Their first production is centred on the subject of the power of the voice to comment on historical and contemporary accounts of universal suffrage and its implications in modern society to commemorate 100 years of suffrage for women and men in the UK. The Art of Change have scheduled a tour across the country to perform their production of art songs on suffrage most recently at Voices of London Festival on 29th June 2018 and a close up concert at Liverpool Philharmonic’s on 10th September 2018 with more dates to be announced. Next story It’s Raining: You Need to Get to Know the Non-Binary Umbrella.